As you begin those summer weekend trips to Hamptons or the Cape here are some in the bag travel essentials from Sephora's signature collection. 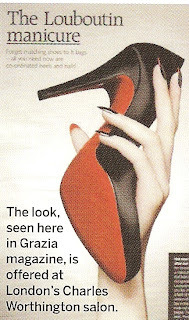 Last week, I was perusing through what seemed like an endless stack of WWD's and in a recent WWD Beauty issue I read about the Louboutin manicure. Get this, it's black on the front red on the back. The concept sounds fun for a pr campaign or a Louboutin fanatic. But who's really going to sport this Elvira-esque look? Come to think of, I think I might try it for Halloween. It is way chicer than black and orange, right? So am I hater? Would anyone try this? Speak now or forever hold your shoes. Is eel the new luxury skin? Judge for yourselves. Lorelei NYC Lucia Eel Skin clutch in midnight $248 Loreleinyc.com. 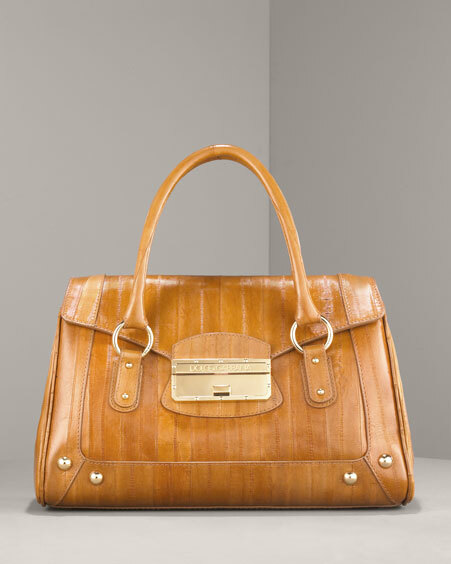 An Australian handbag line with worldwide appeal, Spencer & Rutherford began almost by accident. It all started with a bag Kim Michaelides, the brand's creative director, designed and created for a photo shoot for an advertising client. After fielding numerous requests for more bags, Kim launched Spencer & Rutherford and has never looked back. This Henry Cuir Puzzle Tote is a good fit, no? What a fun take on the quilted trend? How luxuriously yummy are these Bossy Cat box clutch? With the bejeweled clasp they have a vintage vibe. Plus, that price $258 - for snake skin no less - is almost too good to be true. Bossy Cat is the brainchild of Sofia Wallin, one of Asia's top models, who felt that she and her friends could not find stylish, practical and affordable clutch bags that were versatile enough to combine with both casual and evening wear. Wearing high-end fashion on the runway, she had in mind a versatile, affordable option that would sacrifice nothing for style. Thus inspired, this young entrepreneur developed her own line of clutch bags and smaller handbags. I love this emerald green clutch, but would probably opt for the basic black. Actually for $258 for a snake skin evening bag, I may just go for both! Available at Searl.com.